A label produced under the Vavasour Wines Ltd. umbrella. 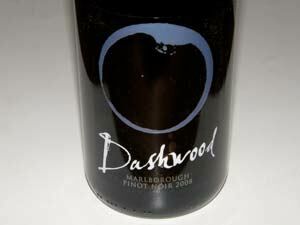 Vavasour is located in the Awatere Valley of Marlborough in the South Island of New Zealand. This label first appeared in 1989 and is a blend of fruit from the Wairau and Awatere Valleys. Imported by Pasternak Wine Imports, Harrison, NY. 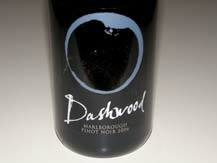 The Dashwood Pinot Noir is a very good value-priced wine that is a perfect daily drinker. In August, 2009, William Foley, the owner of several well-known California brands, purchased the New Zealand Wine Trust and in the process acquired six Kiwi wine brands - Vavasour, Goldwater, Clifford Bay, Boatshed Bay, Dashwood and Redwood Pass - and 247 acres of vines.